On March 29, 2013, the U.S. Environmental Protection Agency (EPA) proposed new standards for cars and gasoline that will greatly reduce pollution, help prevent pollution-related premature deaths and illnesses, and improve efficiency in vehicles. According to the EPA, "Following a proven systems approach that addresses vehicles and fuels as an integrated system, today’s proposal will enable the greatest pollution reductions at the lowest cost. 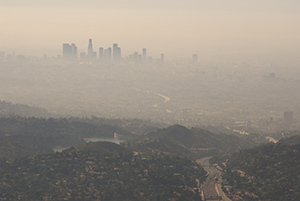 The proposal will slash emissions of a range of harmful pollutants that can cause premature death and respiratory illnesses, including reducing smog-forming volatile organic compounds and nitrogen oxides by 80 percent, establish a 70 percent tighter particulate matter standard, and reduce fuel vapor emissions to near zero. The proposal will also reduce vehicle emissions of toxic air pollutants, such as benzene and 1,3-butadiene, by up to 40 percent." The EPA estimates that by 2030 the proposed program will prevent up to 2,400 premature deaths annually, 23,000 cases of respiratory issues in children, and 1.8 million lost days for school, work, and when air pollution causes activities to be restricted. By that year, the agency expects total health-related benefits will be between $8 and $23 billion dollars. During the development of this proposed standard, the EPA gathered extensive feedback from the automotive and oil and gas industries as well as environmental, consumer advocacy, and public health organizations. Through this feedback and an in-depth rulemaking process, the agency estimates the proposal will provide up to 7 dollars in health benefits for every dollar spent to meet the standards. To help small businesses with the compliance process, the proposal includes flexibilities such as hardship provisions and additional lead time for meeting regulations. Help protect employees who are exposed to automotive air pollution by training workers to identify hazards and use proper respiratory protection when necessary.